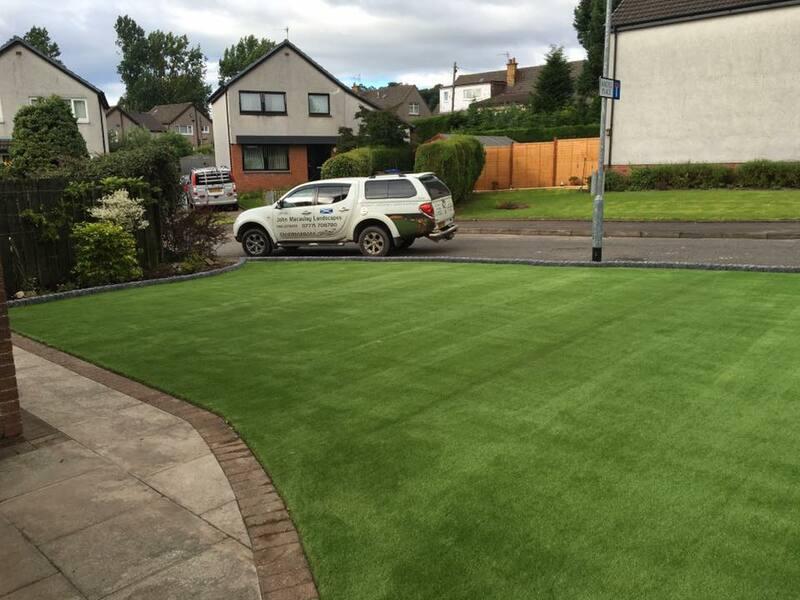 Dumbarton job done using our 38 ml luxury artificial grass finished with our new charcoal edging! Get in touch with us for all your fencing, patios, driveways and garden requirements. We will be happy to help you with all your needs. If you are looking for reliable and quality landscaping services, then look no further than John Macaulay Landscapes.